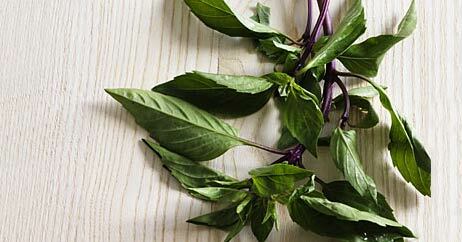 Many swear by fresh herbs for the unbeatable flavor they bring to dishes. Seasoning with herbs is also a smarter way to add flavor to recipes, instead of loading up on more salt! Buy them by the bunch or box, or even purchase a small plant. Chop them up, toss them in, and earn the kitchen bragging rights you deserve! Keep fresh: Add stems to a glass of water and cover with a plastic bag. Keep in the fridge. Delicious with: tomatoes, mozzarella or Parmesan cheese, egg dishes, garlic, or berries. Add to pasta or omelets. Make fresh pesto. Bonus: Basil also helps with digestion and relieves stomach cramps. Keep fresh: Untie bunch, wrap in a paper towel and keep in a plastic bag in the fridge. Delicious with: tomatoes, garlic, soy sauce, or salsa. Add to Mexican dishes. Make guacamole. Bonus: Cilantro has some properties that could work as a preservative and keep dishes from spoiling too quickly. Keep Fresh: Wrap in a paper towel and keep in a plastic bag in the fridge. Delicious with: pizza, pasta, tomatoes, garlic, fish, chicken, or vegetables. Add to Italian dishes. Toss into soup. Bonus: Oregano contains antioxidants that minimize the negative effects of free radicals. Delicious with: Meats, poultry, fish, pasta and soup. Parsley is one of the most versatile herbs, so you can use it to liven up any dish. Bonus: One ounce of parsley contains 62% of the vitamin C you need in a day! Delicious with: Lemon, garlic, beef, poultry, fish or potatoes. Use sprigs to garnish food make plates pretty. Rosemary adds a strong flavor, so add it sparingly. Bonus: Rosemary oil is used for acne, eczema, and dandruff. It’s even been known to help with hair loss. For even more great meal ideas check out this beginner’s guide to herbs and spices.